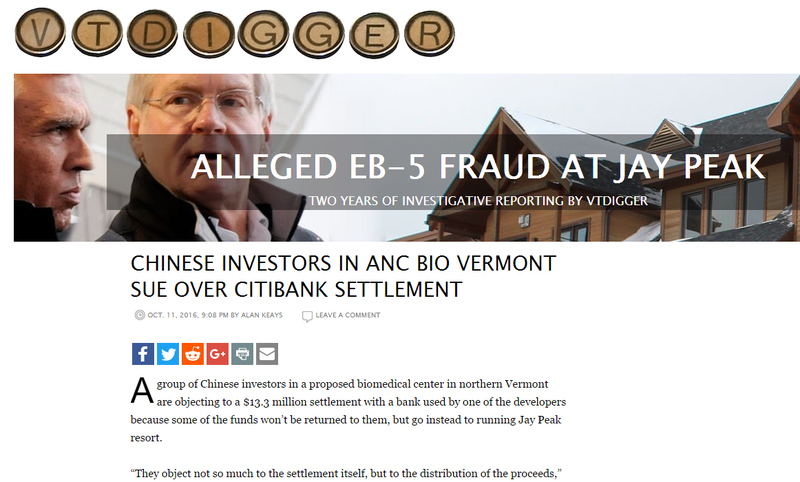 A group of Chinese investors in a proposed biomedical center in northern Vermont are objecting to a $13.3 million settlement with a bank used by one of the developers because some of the funds won’t be returned to them, but go instead to running Jay Peak resort. The settlement, if approved by a federal court judge in Miami, would allow Citibank to pay $13.3 million to the court-appointed receiver, which would be used to operate the Jay Peak Resort properties. The proposed AnC Bio plant to be built in Newport. Michael Goldberg, the court-appointed receiver, could not be reached Tuesday for comment.